South Florida Gutters Depot, Inc.
G Screen and Gutter, Inc. Comment: Problem: Water overshoots gutter and diverter. Settles around rock garden and foundation. Roof: Hip roof with barrel tile. Comment: Gutters repaired & cleaned in October. Need cleaning & some repair. Comment: putting a new roof on, and gutters have been taken off. need new gutters and down spouts. Comment: Gutters on 3 story building need repair or replacement. Comment: Gutters are original on a house built in 2011. Wood facia behind gutters is rotting in places and needs replacement. Fort Lauderdale Gutter Cleaning & Repair Services are rated 4.76 out of 5 based on 971 reviews of 31 pros. 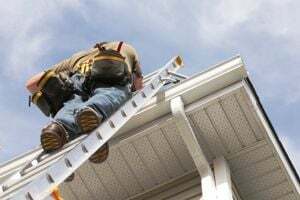 Not Looking for Gutters Contractors in Fort Lauderdale, FL?